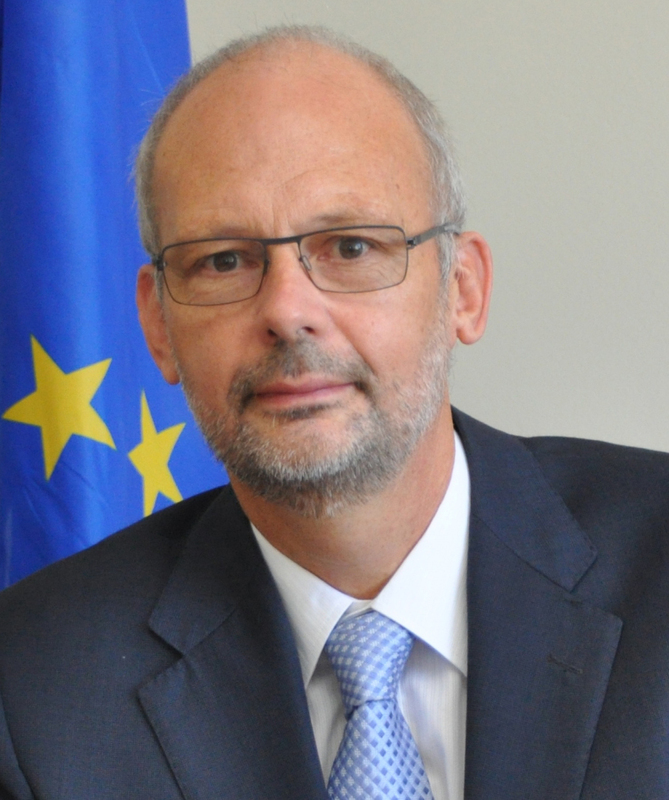 Recently during an address to an EU-ECOWAS (Economic Community of West African States) Economic Partnership Agreement (EPA) conference in Nigeria, certain statements were made by Sir Ronald Sanders on the CARIFORUM-EU EPA. I would like to use the opportunity to correct some of the misrepresentations on the CARIFORUM-EU EPA included in the speech. The EPA includes numerous detailed references to development cooperation. It defines areas of cooperation which are important for EPA implementation. The agreement itself does however not include financial commitments (nor does any other EPA concluded with African regions). The main instrument for delivery of financial aid to support the implementation of the EPA is the European Development Fund. The new 11th EDF regional programme for 2014 to 2020 has just been signed with the EU, doubling the amount of the previous EDF allocation. The overall amount the EU has set aside for the Caribbean is € 1 billion, notwithstanding significant financial constraints. This doesn’t include additional funds that could come from other sources, among them the 11th EDF All-ACP Programme, thematic programmes, other EU instruments like the European Instrument for Democracy and Human Rights, EU research programmes or from bilateral programmes of EU Member States. CARIFORUM States have also received considerable amounts to help them adjust to changes in commodity protocols for sugar and bananas. Between 2007 and 2013, € 567 million were allocated to Caribbean countries under the Accompanying Measures for Sugar Protocol Countries. Under the Banana Accompanying Measures the EU mobilized another € 190 million for seven Caribbean and three African banana producing ACP countries. There has never been a ‘guaranteed market’ for rum. The EU has, however, supported Caribbean rum producers under various programmes. It committed € 70 million to the 2002 Caribbean Rum Sector Programme. The latest specific EU support to the CARIFORUM rum sector is over € 7.2 million and focusses on the implementation of EPA commitments and is being carried out by the West Indies Rum and Spirits Producer’s Association. The claim that “promises of EU aid had significantly fallen short” is not correct. The focus now should be on increasing the utilisation of funds given that far less than 40% have been disbursed — and to proceed with the formulation of programmes. The EU expects CARIFORUM states to implement commitments under the EPA in the same way as the EU implements its own commitments. However, while the EU has given duty free quota free access to goods from the CARIFORUM states from the first day of implementation of the EPA, tariff reductions by CARIFORUM only started in 2011, and will be implemented over a transitional period ending in 2033. CARIFORUM states have moreover been able to protect their most sensitive goods by excluding 18% of tariff lines from liberalisation. The EPA also includes multilateral and bilateral safeguard clauses (including an infant industry clause), and special clauses for OECS countries. The EPA therefore recognizes the adjustment challenges of CARIFORUM States, in particular for the smaller island. Tariff reductions so far have only concerned tariff lines with little trade or already low tariffs. The impact on trade and government revenue has therefore been limited if not negligible. It should also be kept in mind that the alternative to the EPA would not have been a continuation of the unilateral Cotonou preferences, but the Generalised Scheme of Preferences, which of course does not grant full duty free and quota free access and would therefore have been considerably less advantageous for the Caribbean in particular regarding traditional exports such as sugar and bananas. It is true that EPA implementation started at the worst possible moment, when the financial and economic crisis hit Caribbean and EU countries, and severely affected trade, growth and Government revenues in both regions. The EU has however never “intimated that non-compliance would lead to arbitration”. The EPA includes various review clauses (e.g. general revision clause, review clause for Rules of Origin or for tariff commitments), which allow for adjustment to the agreement in changing circumstances. So far, none of these clauses has been invoked by the CARIFORUM states. The EU is prepared to look at any proposal by CARIFORUM States to review provisions of the agreement in line with the relevant articles. The EU is also willing to look at other arrangements to address concerns. The EU has for example agreed not to challenge domestic legislation on importation of used cars in various CARIFORUM States, irrespective of its compatibility with the Agreement. All this shows that the EPA is a flexible instrument which takes into account the challenges of the CARIFORUM countries, and that the EU is willing to address concerns expressed by CARIFORUM states, while however respecting the basic logic and legal framework of the agreement. It is correct that in order to enter the EU, products have to comply with Sanitary and Phytosanitary (SPS) rules and technical standards. This applies to all imports entering the EU, be it under EPA, GSP or on a non-preferential basis. SPS measures are in fact based on unilateral EU legislation, which applies to all producers, domestic or foreign, and which aims at protecting EU consumers. The CARIFORUM-EU EPA includes chapters on both Technical Barriers to Trade and SPS, which aim at assisting CARIFORUM States to comply with SPS measures. The EU is also supporting various programmes in this area. It is in the interest of CARIFORUM producers to strengthen their capacity to comply with SPS requirements, as all possible export markets have similar requirements, and also to protect their own consumers. The EU has recently extended its visa waiver scheme for short term ‘Schengen’ visa which now covers nine CARIFORUM states, including all OECS states. The EU has also taken other measures to simplify access (proposal to establish a ‘touring’ visa, review of the visa code, Directive on intra-corporate transfers etc.). Strictly speaking, however, visas and the conditions of entry and stay of natural persons on the territory of either Party are outside the realm of the EPA, and for the EU are still the prerogative of its Member States. The EU is in constant dialogue with CARIFORUM partners. A comprehensive institutional structure has been created to follow EPA implementation. The EU and CARIFORUM have just completed the first five year review of the EPA. The 3rd meeting of the Joint EPA Council took place in Georgetown, Guyana, on 16 July 2015 to discuss the outcome of the review. The Trade and Development Committee meets at least once a year. Various sub-Committees (e.g. on development cooperation or agriculture) were created and have met. Special meetings on services and monitoring have taken place. A joint task force has now been mandated to deal with the follow up to the review. These fora provide the opportunity to discuss all relevant issues, from technical detail to political decisions. It is therefore wrong and particularly unfortunate to allege that the EU is not engaged in a constructive dialogue with CARIFORUM on EPA implementation. The EPAs in the Caribbean and in Africa are not an alternative to regional or continental integration. Rather, regional integration in the Caribbean is a precondition for the success of the EPA, and the EPA is actively supporting regional integration in the Caribbean. It includes, inter alia, a regional preference clause which obliges CARIFORUM states to share with each other any more favourable treatment they have granted to the EU. The purpose is to promote the development of a regional market which would attract investment, and to avoid trade diversion towards the EU. Unfortunately, CARIFORUM States have so far not implemented the regional preference clause. ‘South-South’ trade and economic cooperation is a reality. But it is being overtaken by events. With the emergency of major new economies in Asia, Africa and Latin America, international trade and investment patterns have changed fundamentally. All economies have to adjust to this new reality. The purpose of the EPA is to strengthen the competitiveness of the Caribbean economies, and to help them find their place in the new international economy. As regards EPAs in Africa, I would like to stress that it was up to each country and region to decide whether they wanted to have a special trade and development partnership with the EU or not. Those countries preferring the very generous EU unilateral schemes for developing countries were free to opt into these regimes. However, a number of African countries and regions decided to seize the opportunities offered by the EPA — a negotiated agreement which supports their economic growth and development. And last but not least, EPAs are not a barrier, but on the contrary, can definitely be used as building blocks towards the realisation of African integration objectives.